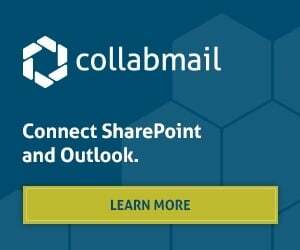 A common problem that many Collabware CLM users run into is the question of moving items to the Records Center. We always recommend that Records are eventually moved to the Records Center; it is simply good ECM practice.  However, when users attempt to put this recommendation into practice, they hit a road-block: their users. 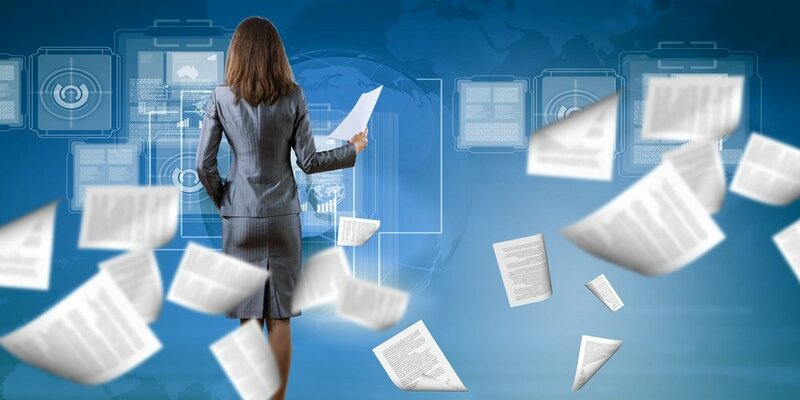 Basic SharePoint users can be very resistant to the idea of allowing their documents to be moved, even when they are one, two, three years old. Their resistance is based on fear, their personal fear of not being able to find those documents, in the rare situation that they might need that information. When people come to us and ask us how to deal with this concern from their users (and it is a valid concern), we have some very basic advice: get your SharePoint Search in order. Of course, a good Search is always recommended, and is one of the central pillars of ECM. However, it can specifically be used to alleviate fears around Records moving to the Records Center. As long as basic users can trust the Search process, they won’t be as worried when items are moved to the Records Center. This article will run through two basic SharePoint Search features that will help you configure your Search better and enable your users to find their content with more efficiency. Please note that this is not the full list of customizations you can make to your SharePoint Search, and if you are interested, there is a plethora of material out there that can help you establish a true Search Center to drive your ECM. 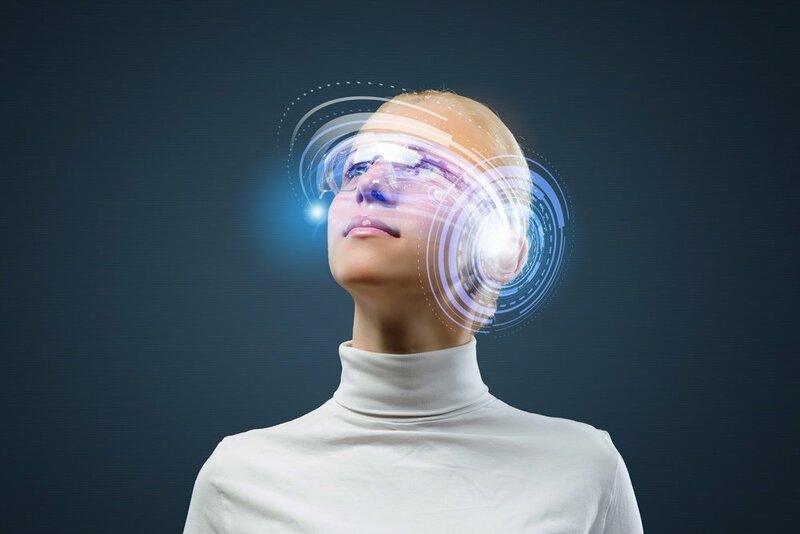 The two features this article will tackle are Managed Properties and Search Refiners. Managed Properties are Search Properties that can be leveraged to search a specific metadata field. Normally, when a user inputs anything into search, they are searching by Keyword, which means you are taking a term and using a “shotgun” approach, trying to find every instance of that keyword. This can lead to far too much content, watering down the effectiveness of your search. Instead, we want our users to be able to leverage that valuable metadata we have been asking them to input on their documents. 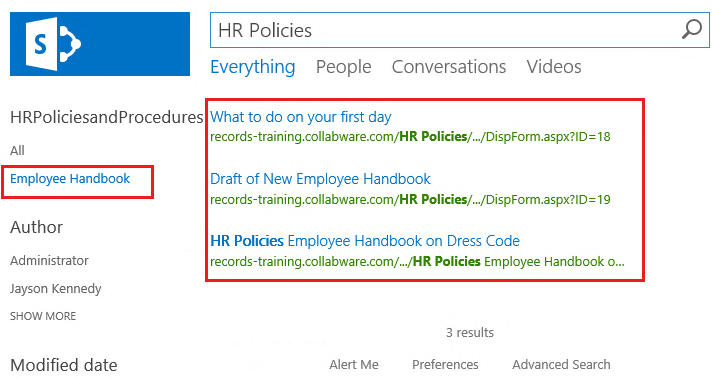 In the following scenario, we want to use a Managed Property that points to a SharePoint Column that is a pick-list of different types of HR Policies and Procedures. Our organization is already good at populating this metadata field, so now we want to use it to improve our Search experience! Managed Properties are created automatically in SharePoint 2013, but for the best results, you need to customize those Managed Properties. In your Search Service Application, you can go to Search Schema and check if your Managed Property is set up properly. Here we can see that my HR Policies and Procedures Column has some extra verbiage on the end; I’m going to remove those and also update the field to ensure it is fully indexed for maximum searchability. Here we have updated the name and ensure the search settings are set to maximum. Note that you may not need all of the settings shown above, and it does require more time to index this Property. We have also ensured that all potential crawled properties match to this Managed Property. This may not be required, depending on if you are using a custom-made Managed Property or one of the Properties that is generated automatically by SharePoint 2013 Search. After every update to a Managed Property, you must do a Full Crawl again to populate/update the Index. We are going to go to the Search Center and do two searches comparing the different results. Just doing a basic keyword search, you can see that we will get lots of results, because either the term was in the title, metadata, or sometimes in the body of the document. This is a lot of different results, and several of them may not be relevant at all. Now let’s try using our new Managed Property. We use the Managed Property and put in the exact term we are looking for, and you can see that the results are much more relevant. 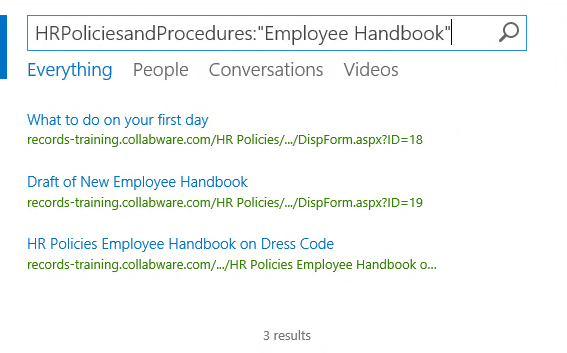 As you can see, I am not seeing any of those items that only have the phrase “Employee Handbook” in the title. 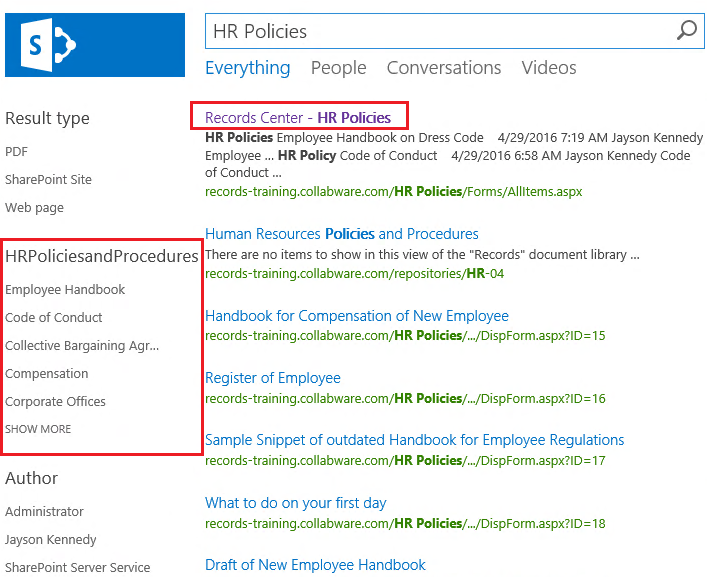 Instead, we are only seeing those results that have the value “Employee Handbook” in the Metadata Column HR Policies and Procedures. This is one of the helpful search tools, as long as search is configured for it and your users know how to make use of the Managed Properties. Let’s move onto Search Refiners now. 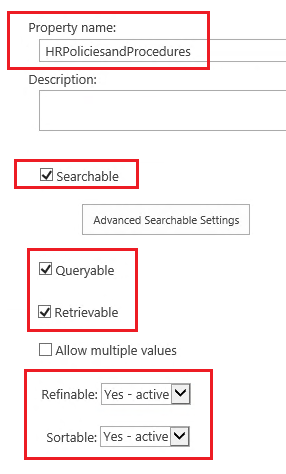 Search Refiners are in place by default on any Search Center. You’ve probably seen them before; the basic ones are Last Modified Date, Last Modified User, and File Type. But what you may not know is that you can customize your Search Results page to display even more Refiners, even ones based on custom Metadata Columns. Imagine these as filters for your Search. First of all, you must edit the Results page of your Search Center. This is always the results.aspx page, so navigate there first. You must be a page owner, and then you can Edit the page. You will see a series of web parts. We are looking for the Refinement web part. Select the Web Part and click the Edit Web Part Properties, either on the ribbon or in the drop-down menu. From here, click the Choose Refiners button. Note that the list of Refiners is not a complete list, and is dependent upon the Managed Property having the Refinable setting enabled. We went through updating your Managed Properties in the previous section. Once you add your Refiners, you can customize their appearance and update the Web Part. Since the Search Page is considered a Publishing page, you need to Check it in and Publish the changes, otherwise your users will not see the new Refiners. And here we can see that my search for a Library (HR Policies, for example) shows many items as well as all of the values for the HR Policies and Procedures field. Selecting one of those values will filter down the list of results, allowing your users to filter and filter until they find what they need. As you can see, we have drilled down to the same three documents that were present in our other Search Results. Using a combination of both Metadata Properties and Search Refiners, you should be able to easily craft a superior Search experience for your users. 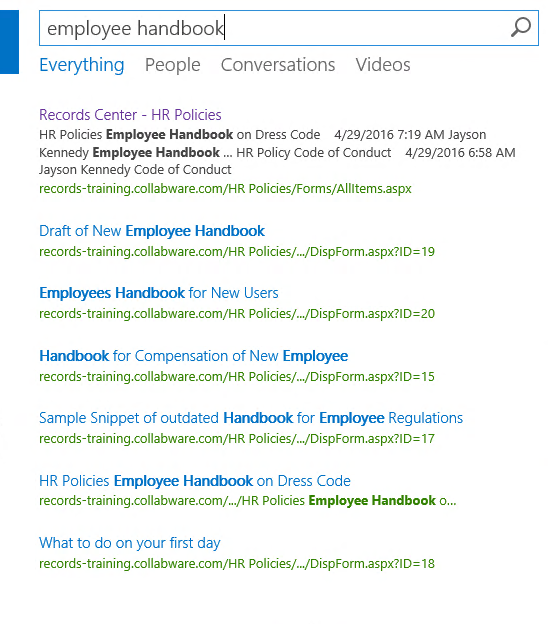 A better Search is the cornerstone of good ECM, so definitely consider implementing these simple changes to your SharePoint Search.